We can manufacture PVC conduit pipes as per your custom requirements, and at your target prices. 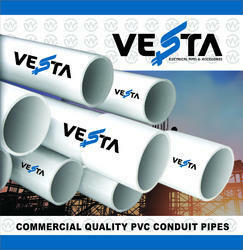 The Brand available for custom pipes is VESTA. We can also manufacture your own brand name as we also do OEM. We can manufacture 25mm MMS PVC Conduit Pipes as per your custom requirements and your target price. We also do OEM. We can manufacture 25mm LMS PVC Conduit Pipes as per your custom requirements and your target price. We also do OEM.